Published: Oct. 9, 2016 at 06:56 p.m. Updated: Oct. 9, 2016 at 07:10 p.m.
CLEVELAND -- Hours before the game started, as the flag bearers practiced their unfurling, Tom Brady walked the field with a scowl, a red hood pulled over his head, a picture of ferocity. Maybe that was only the rare bad snapshot of Brady. More likely, it was a telling, though fleeting, glimpse of the emotions, the slights, that have driven Brady since he was drafted and which reached peak intensity Sunday, as Brady finally ended his four-game suspension and put to bed the torturous 20 months of investigations, inquisitions, condemnations and capitulations that sprang from Deflategate. Brady presents as smooth a public visage as there is in professional sports, but beneath the veneer robed in a double-breasted jacket and a crisp white pocket square, that glower told the story of a player who still feels wronged, who still has something to prove, who still burns to extinguish his doubters -- on the field and in the corporate offices of those who govern the game. So did the small smile that finally split Brady's face after he was asked about his motivation following a 33-13 beating of the Cleveland Browns, which included 400 yards and three touchdown passes by Brady. "This isn't the time for me to reflect," he said. "I have a job to do, and there is no point in looking back at anything, whether we won Super Bowls or lost championship games. The last four weeks, none of it matters." Fair enough. Brady has probably been forced into enough self-reflection for a lifetime, even if the rest of us want to imbue his play with a heightened level of meaning, as if Brady was imagining four Roger Goodells playing in the Browns' secondary with every deep ball he launched. Brady has only spoken in bits and pieces, in allusions and generalities, about the underinflated footballs that derailed the start of his season and sent him on a vacation to Italy when he would have rather been sweating it out in Foxborough. And now he is back in a position to do what he has done best since he took over the starting job in 2001 -- allow his play to speak for him while the rest of us scramble to fill in the blanks. For that, we turn for assistance to Rob Gronkowski, the tight end and sage who summed up the fact that Brady seemed to bring with him from his suspension a more defined sense of urgency. "Tom always brings the ampness to the table," Gronkowski said. 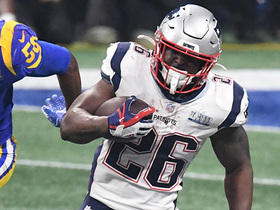 That he does, and you needed look no further than the Patriots' surgical opening drive -- eight plays, 80 yards, touchdown -- to recognize that while Jimmy Garoppolo and Jacoby Brissett admirably filled in under center, and Garoppolo probably earned a starting job elsewhere with just six quarters of work, Brady still elevates the Patriots as no other can. 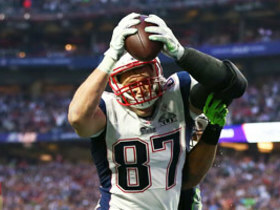 That he returned when Gronkowski's hamstring was also healing was a bonus, and it revealed what the Patriots' offense at full power will look like: the devastating two tight-end pairing of Gronkowski and Martellus Bennett that Brady spent extra time on during the offseason, the running of LeGarrette Blount, the deep-ball possibilities with Chris Hogan. 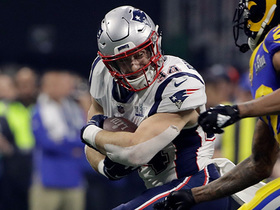 That the Patriots were not as razor sharp as they would like -- Steve Gostkowski missed a 50-yard field-goal attempt and the Patriots were stopped on the Cleveland 1-yard line on another drive -- should only serve as a warning to everybody else in the league. The Browns have a terrible defense, but this was Brady completing 70 percent of his passes and throwing no interceptions and just getting started. Gronkowski said he saw no rust on Brady -- "Did you?" he asked reporters -- although Brady disagreed and said there was plenty he could work on. The next three weeks -- with games against the Bengals, Steelers and Bills -- will certainly provide a truer test. Mostly, Brady looked relieved to be back, the same combination of weariness and jubilation that marked his face when the Patriots won the Super Bowl just two weeks after deflated footballs and the Ideal Gas Law first invaded his world. The questions then were what the investigation would find and how much of a blot it would leave on Brady. It's still hard to answer those questions with certainty, and Brady is clearly in no mood now to relive the past anyway. 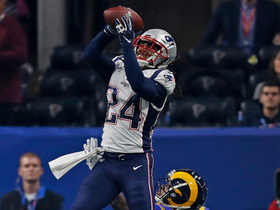 Watching the Patriots' machine-like march through a season sometimes makes you wonder if it is all a joyless slog until the Lombardi is handed out. You didn't think that, though, when Brady was asked what he missed most during his suspension and he beamed when he answered, "Everything!" For all the dodging the Patriots engage in, for as much mumbling as Bill Belichick does during even routine press conferences, that response sounded as heartfelt as anything that has been said by or about Brady throughout Deflategate. "4-1 is a pretty good place to be," Brady repeated a few times. Whether Brady is in a good place after his suspension, too, might be beside the point. He is, indisputably, in the right place.